A couple of club members have been in the news recently. 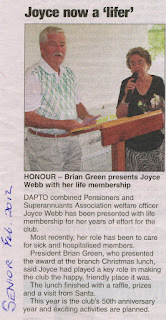 Joyce Webb appeared in 'The Senior' newspaper receiving her Life Membership at the Christmas Lunch held in December last year. Joyce has performed many roles with the club over the years but is currently the welfare officer keeping an eye on our sick members making sure they are not forgotten. 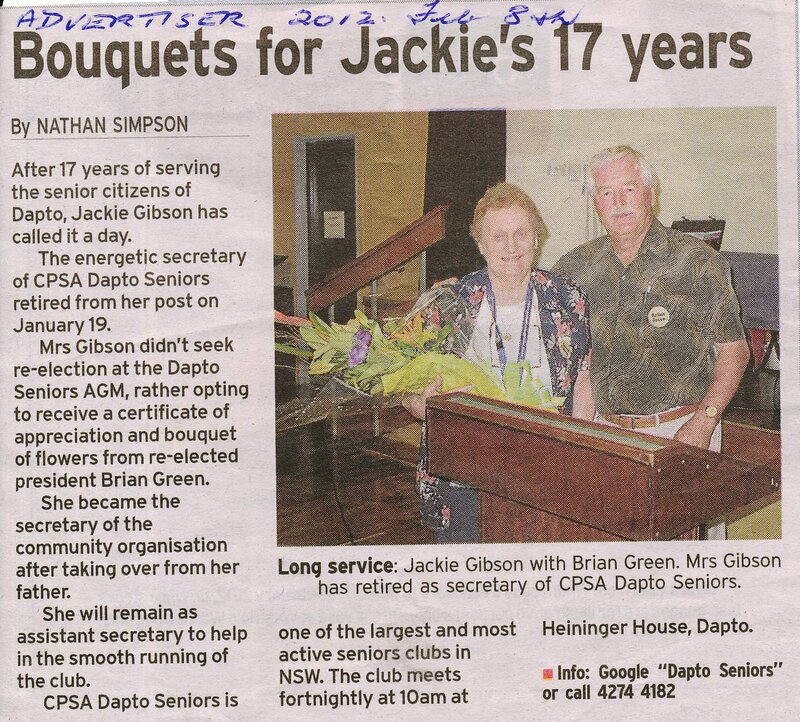 For 17 years Jackie Gibson was the club's secretary. She recently appeared in The Advertiser receiving a bouquet of flowers and a well deserved Certificate of Appreciation from grateful members. All the good work she had performed for club members over nearly two decades will be appreciated for years to come. Jackie will continue serving the club as assistant secretary.